Hello all! I went to see 'The Hunger Games' and it was amazing! I haven't read the books, but I now will definitely read them because I want to know what happens! After the movies I went for brunch near the Lincoln Square movie theater. Our waitress noticed my nail polish, of course the 'lillacism' color by Essie and she asked "Did you receive that nail polish from Birchbox"? I was like...What is that? She then told me about it and I found it pretty cool. 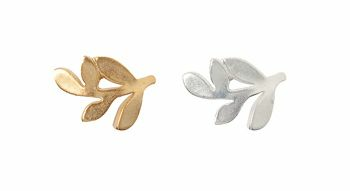 Today, I also came across a pretty trendy jewelry line called 'Foxyoriginals' http://www.foxyoriginals.com/index.asp. I love the vine set of earrings. You can get them in gold or silver or both!